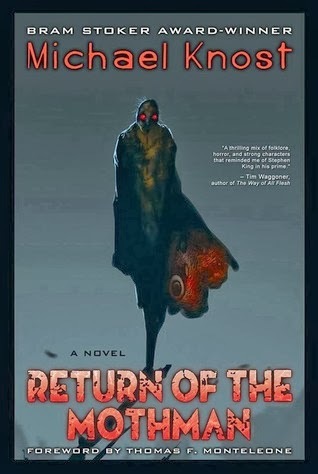 Return of the Mothman by Michael Knost is available at Woodland Press, Amazon, BooksAMillion, and Barnes and Noble. 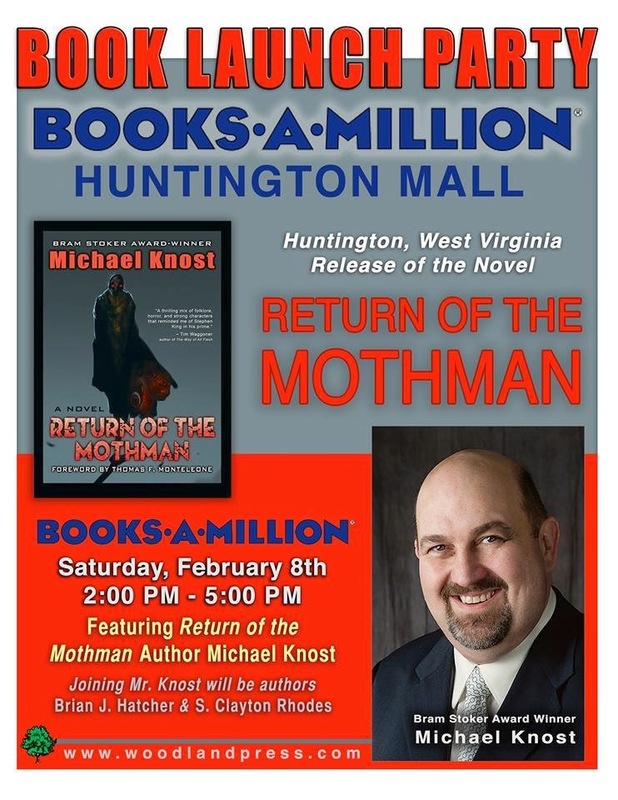 You can also swing by Books A Million at Huntington Mall from 2-5 PM on February 8, 2014 and purchase a SIGNED copy at the book launch party. Brian J. Hatcher and S. Clayton Rhodes will also be there. Ted Browning moves back to his rural hometown of Logan, West Virginia after learning his grandmother is dying of cancer. When he hears talk of Mothman sightings he thinks the third shift miners at Bear Creek Coal Company are merely trying to switch to the day shift—that’s all before a series of events put him in direct confrontation with the winged creature. Ted is forced to face his inner demons in order to protect the very loved ones he’s kept at a distance for twenty years — and to let go of a past that is drawing him like a moth to the flame. I'm not a fan of the Mothman, mostly because the same stories have been reiterated for decades - the same people in the same interviews in different shows/movies/books. Mr. Knost takes what we know about the Mothman and builds a new (fictional) story based on the legend. My favorite aspect of this book is the dialogue. Some of the conversations in this book can be experienced -for real- on any given day of the week at any given place in southern West Virginia. The dialogue is that realistic. How do I know? I'm the daughter of a coal miner from southern West Virginia. Which brings me to my next point. Coal mining. This story utilizes the dangers of mining to move the plot forward. The Buffalo Creek Disaster is specifically mentioned in this book - the main character, Ted, lost both of his parents in the flood. But I kept thinking about the Upper Big Branch Disaster of 2010 that occurred where I grew up, in Raleigh County, WV. I highly recommend this book for those acquainted with coal mining; there may be panic triggers for those who have been in or lost loved ones to a mining disaster but we're West Virginians, we'll deal with it - and you'll see that, our attitude, in this book too. The only problem I had with this book is that it went by much too fast. I received a free copy of this book in exchange for a review (but I will probably buy copies of this book for people I know).